Falls by older adults are among the most serious of injuries, and are among the most costly. But did you know that falls are NOT a normal part of the aging process and that they are preventable? 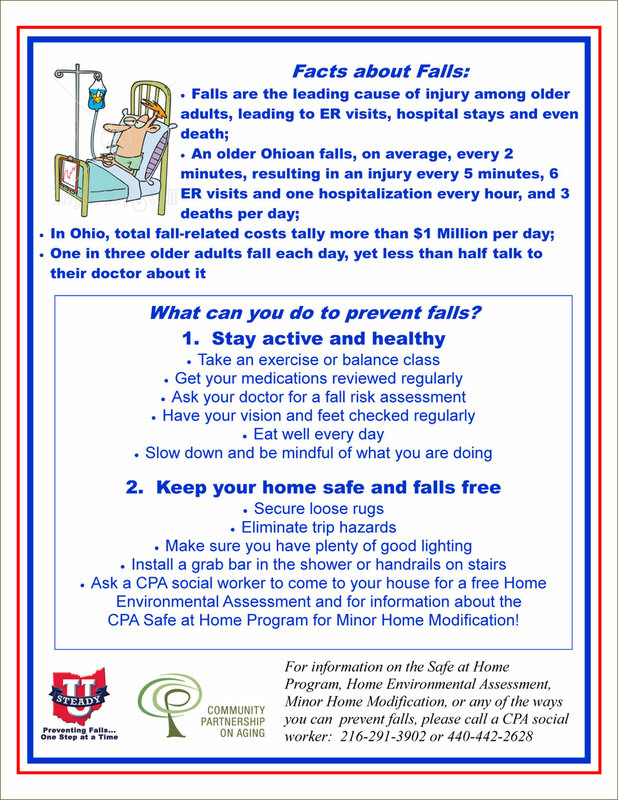 There are many things you can do to prevent falls! Please see the attached flier for information about preventing falls and the many things CPA has planned throughout the month of September. Click here for flier with information. You can also get more information from the State of Ohio Department of Aging at www.aging.ohio.gov.